OneStream offers business a Corporate Performance Management (CPM) dedicated to supporting business success. 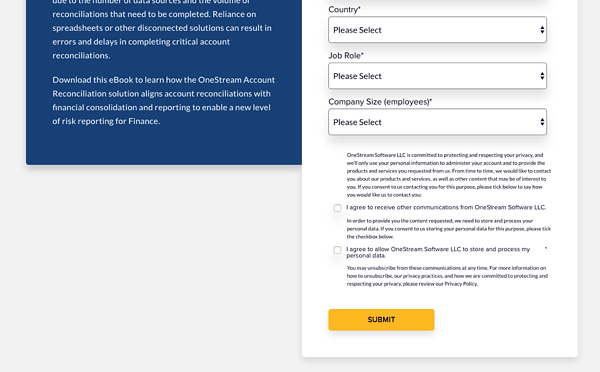 With the OneStream software, users are able to modernize finance and get back to business with streamlined processes minimal system maintenance. As an independent CPM software company, OneStream’s top priority lies with its customers. They are continuously looking towards the customers in creating the best CPM software on the market in terms of platform, service and support. 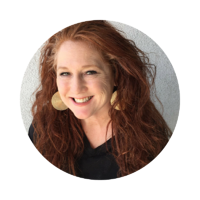 OneStream values the quality that their software offers in allowing businesses to simplify and align financial consolidation, planning, reporting and analyzing. As a fast-growing company, OneStream knew they needed help to ensure that they were getting to the right people at the right time. 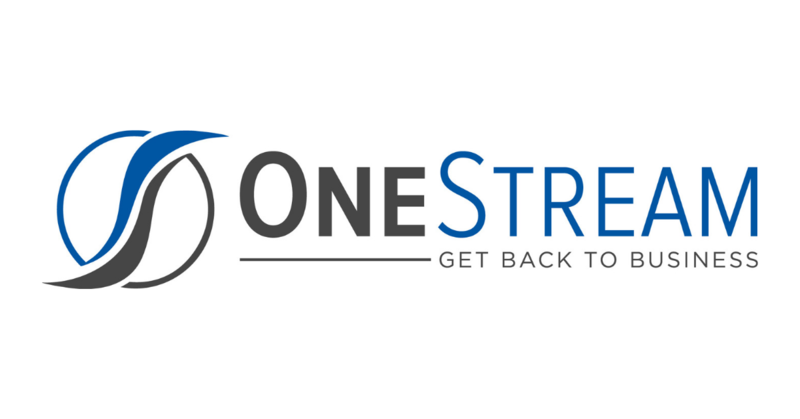 OneStream needed a website redesign that felt enterprise, not small business as their old site did. They wanted their new design to be modern and clean to keep them in the corporate space without having a cookie cutter design. Their new site needed to feature opportunities for conversion and adhere to the new GDPR compliance laws. OneStreams current site featured an enormous amount of content, events and videos that were not easily accessible. Their current site architecture had become extremely cluttered and difficult to navigate. 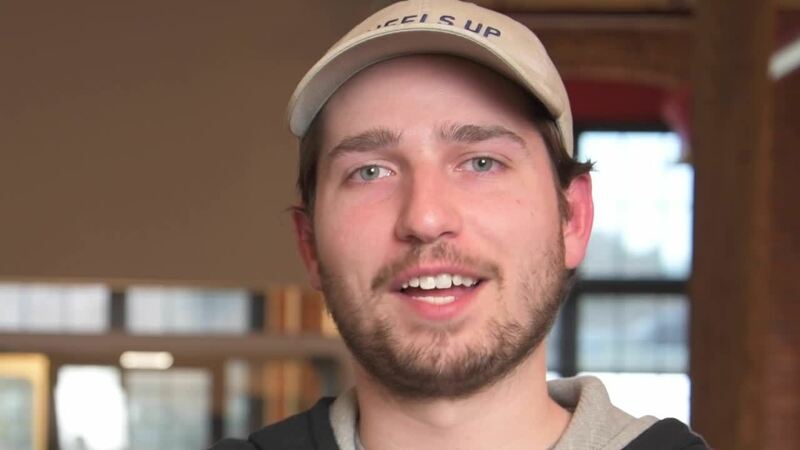 OneStream knew they needed to get on Hubspot to be able to help organize their content while creating a lead generation strategy to help fuel clients down their funnel. New Breed was able to design a website for OneStream that focused on integrating design, user experience, and inbound best practices in mind. OneStream wanted the website to help it stand out from the competition. We worked closely in collaborating with OneStream to help create something visually compelling while still capturing a high level of professionalism. Through our collaboration we were able to extend the use of the OneStream logo through the site by instituting an S curve throughout the site. This helped to break the grid and create something visually appealing. We were able to create a design that was clean but scalable to work with what they had. We also helped institute a variety of Hubspot features in their site that further helped OneStream stand out amongst their competitors. As a company with over 50% of clients in Europe, OneStream recognized that being GDPR compliant was a necessity. In our sales-ready website, we first instituted a cookie banner. To maintain GDPR compliance, OneStream needed to create a double-opt in feature across their form submissions. We were able to help them create a form strategy based around double-opt by creating a workflow that featured an email confirmation. After setting OneStream up on the Hubspot CMS, we were able to take advantage of HubDB to make OneStream’s assets more manageable and scalable. We were able to easily organize their different content types and pull those content types into different areas of the site and implement the complex filtering capabilities found on the various listing pages. OneStream had over 200 videos that would have required a unique page if it wasn’t for the HubDB dynamic capabilities. Rather than creating a unique page for every video, we were able to create 1 page and structure the template and HubDB correctly to be used across all 200 videos. 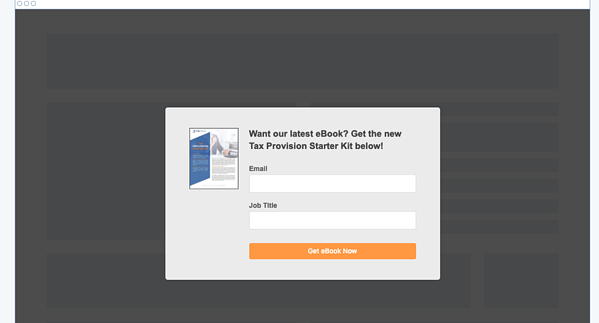 New Breed instituted a Lead Flow Pop Up form that was used to promote a gated piece of content for OneStream and allow users a simplified conversion path to enable moving them further down the funnel. After launching OneStream’s new website, the page load time decreased to 1.05 seconds. 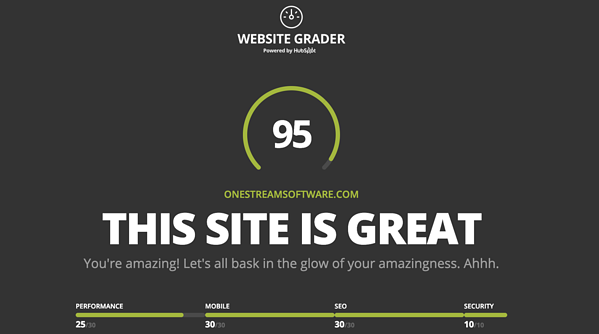 Using the Website Grader, OneStream’s new website is scored at 95 — getting perfect scores in mobile compatibility, SEO, and security. A 55% increase in sessions. A 28% increase in contacts. A 68% increase BOFU page visits. 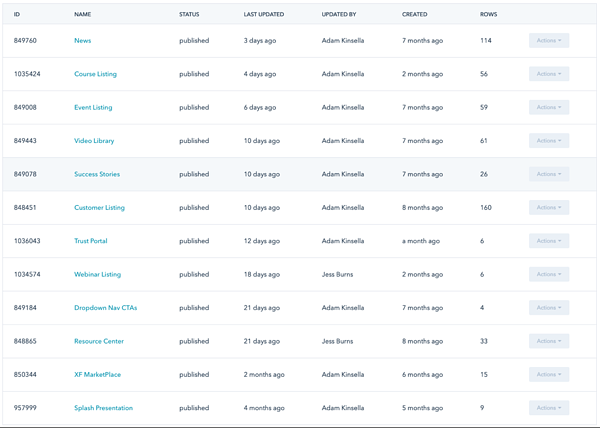 A 57% increase in BOFU leads generated. We're excited to continue growing with OneStream and look forward to new projects in the future. Since launch, we have been able continue our relationship by offering Web Support and Conversion Optimization Premier Services. These services are the next step in growing OneStream's inbound strategy to close more deals.